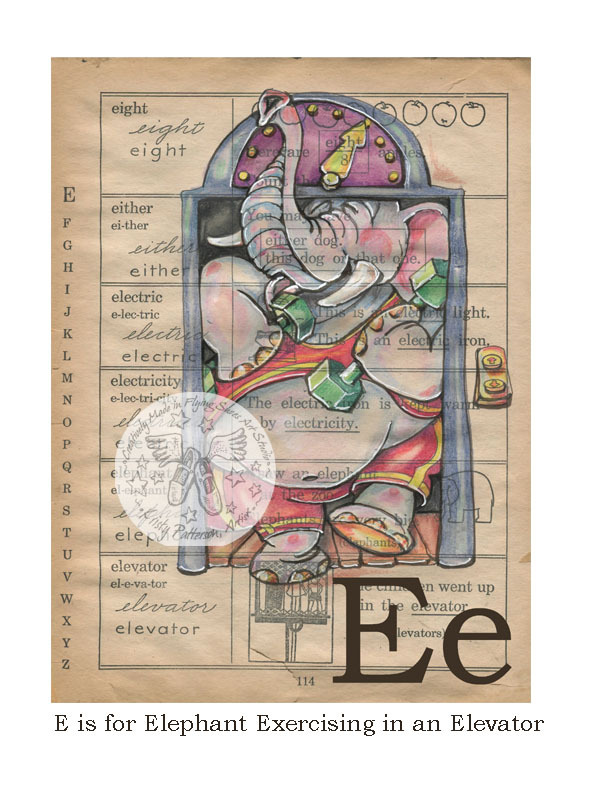 "E is for Elephant Exercising in an Elevator"
I'm having a ball building an alphabet of illustrations on this precious, children's dictionary. 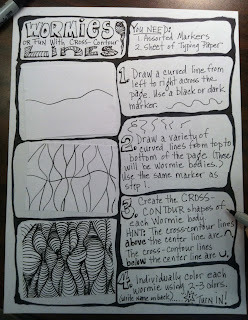 What I am enjoying most is that I can be silly and totally inventive with these drawings. In this case, my happy elephant can be any color I want and even dressed in workout clothes. I hope to reproduce this series in small cards when I am finished.